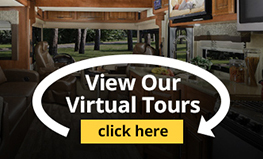 View Our Virtual Tours To Get A Close Up Look Of Your Favorite RV! Here at Wilkin’s RV, we are constantly striving to make the buying experience more enjoyable for our customers. That is why we are excited to announce our latest website feature, Virtual RV Tours! Look For The Virtual Tour Tag! This exciting new feature allows you to take tours of RVs interiors without leaving the comfort of your home! Photos are great, but nothing beats video when it comes to getting a thorough view of the inside of an RV. View all your favorite RVs in detail with this simple and easy to use feature. Just look for our 360 Degree Virtual Tour button on selected inventory. 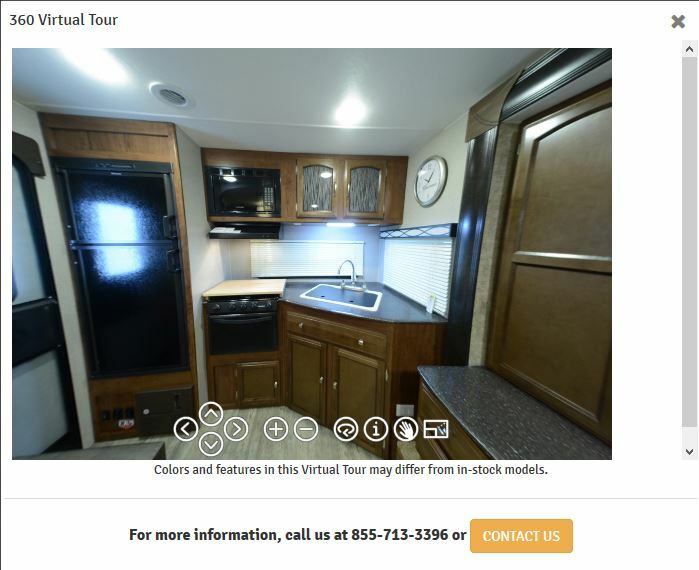 After you click on the RV of your choice, look for the 360 tour tab located next the photo and floorplan tabs. 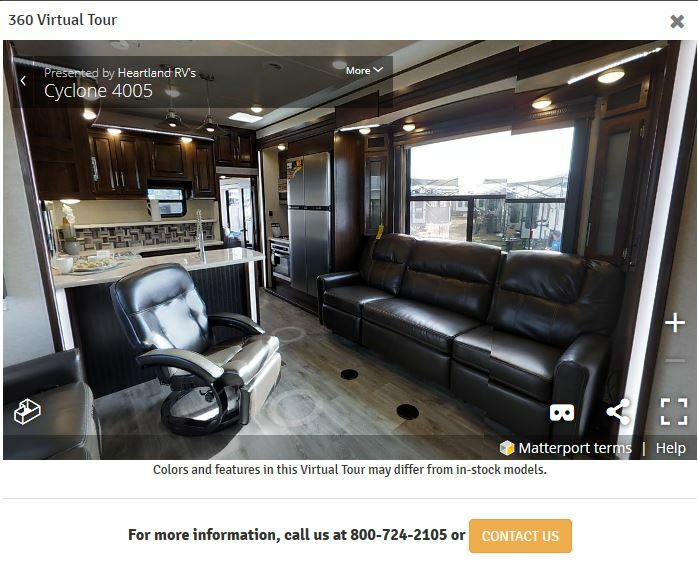 Virtual RV Tours allow you to see interior floorplan design, features, decor and style in closer detail. It’s like you’re there! Want to see how much room there is in the kitchen? Move your cursor where you’d like to go and click. You will be transported to the area of the RV that you would like to view in closer detail. It’s just that easy! You can look up, down and all around with this exciting new tool. Even if you see a closed door to a bedroom and bathroom, you can still click on that area and it will open up so you can take a look inside. It’s super fun to move around the RV of your choice and plan out your next camping adventure! From travel trailers, fifth wheels, toy haulers and even pop-up campers, we have many Virtual RV Tours available by a wide variety of manufacturers ready to be viewed. 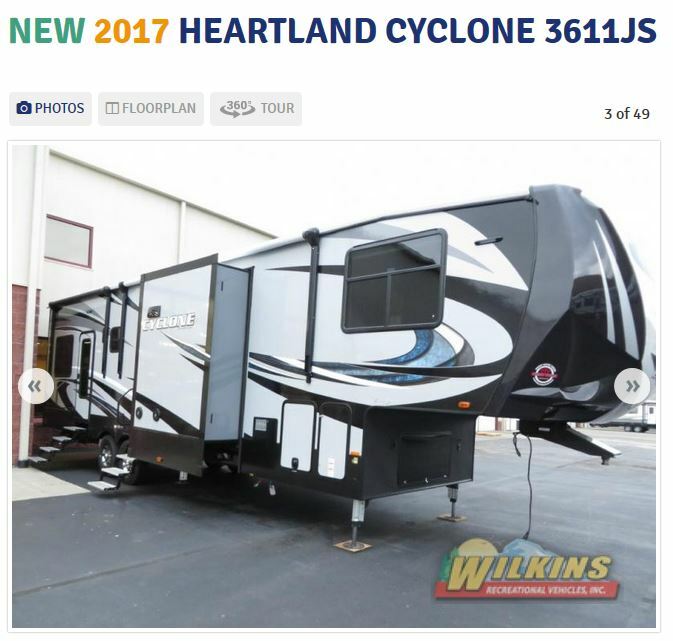 Once you find an RV that interests you, Contact Us at Wilkins RV and our experienced RV specialists will give you a personal tour to explain all the unique features our various brands have to offer. Have fun!